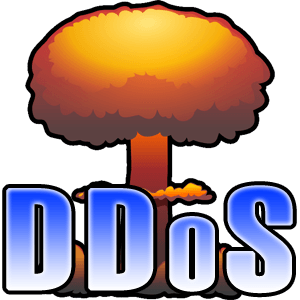 As per Wikipedia, denial-of-service (DoS) or distributed denial-of-service (DDoS) attack is an attempt to make a machine or network resource unavailable to its intended users. This command allows to see a bigger picture: the distribution of unique IPs sending requests, the number of requests from one IP, etc. The main thing here is that all of this operates in real-time and we can monitor the situation, as well as make necessary changes in the configuration. For example, we can ban the top 20 of the most active IPs via iptables, or limit the geography of requests for some time in nginxwith the help of GeoIP (http://nginx.org/en/docs/http/ngx_http_geoip_module.html). At the very top you will see the summery for all of the requests. We can see that IP 95.65.66.183 sends 12,48 requests per second. During the last 27 seconds it has sent 337 requests. tail -f /var/log/nginx/nginx.access.log — continuously read the end of the log-file. cut -d ‘ ‘ -f 1 — split the string into “substrings” with the help of a delimiter that is defined in –d flag (in the given case, it’s a space). -f 1 flag means that we only want to show the field with “1” as a sequence number only (in the given case, the field will contain the IP address sending a request). logtop counts the number of equal strings (i.e., IPs), sorts them in descending order and prints to screen in the form of a list, adding statistics at the same time (in Debian we can do it via aptitude from a standard repository). That will show the distribution of a string by the IP in the log. In my case, we were to gather the statistics regarding one IP using the &key=… parameter in a request. All the mentioned above requests are provided for Debian and Ubuntu, but I think the commands will look pretty much the same in other Linux distros.